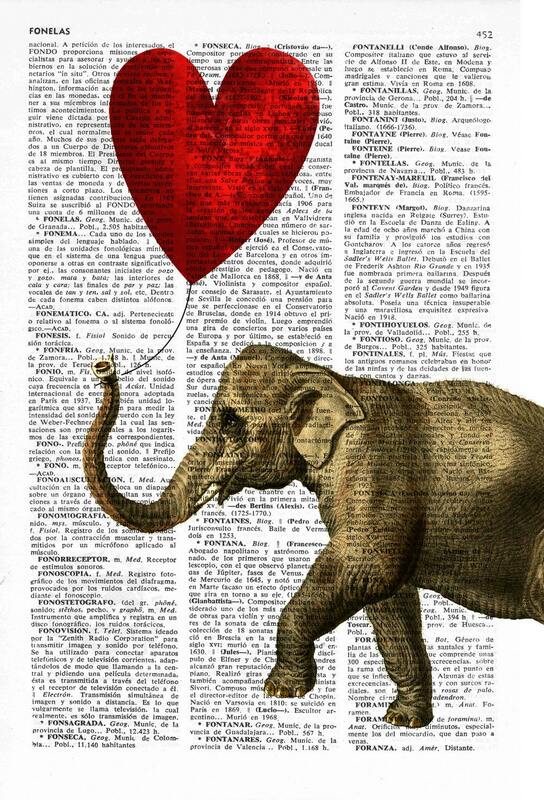 Elephant with a Heart shaped balloon art collage printed on real vintage dictionary book page. 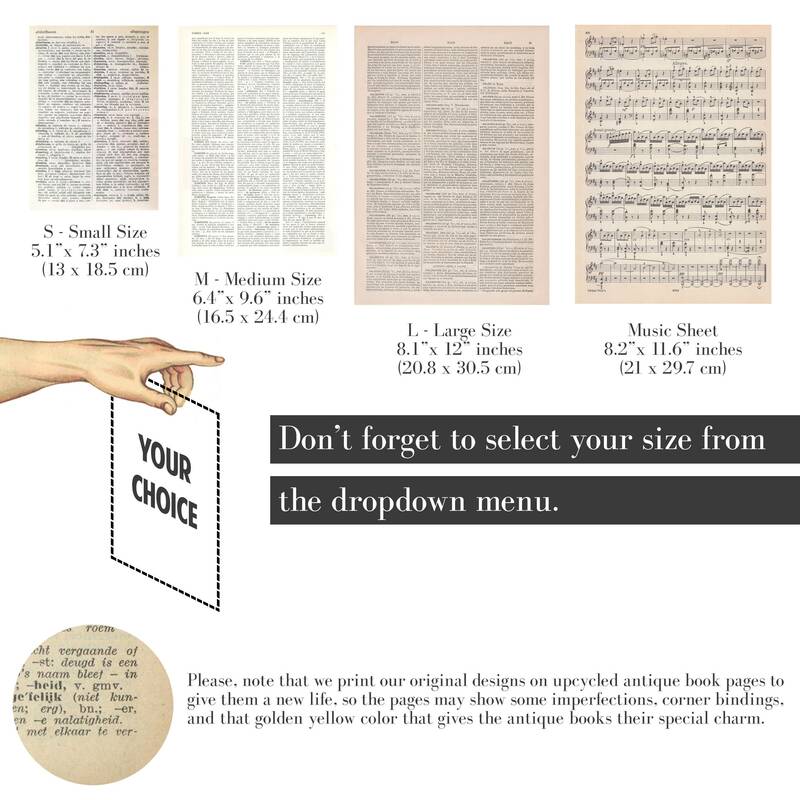 A3 poster with reproduction book page background ? How about on real vintage music sheet ? 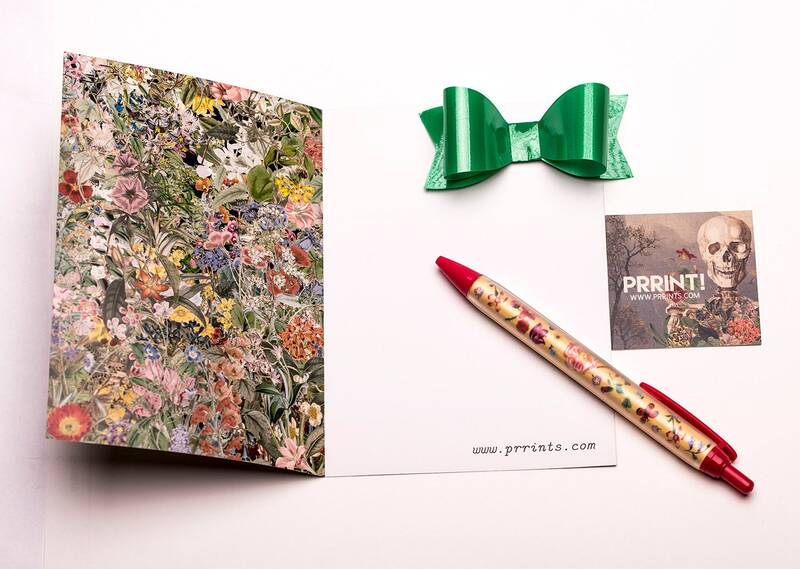 Unique and really nice! Thanks a lot! 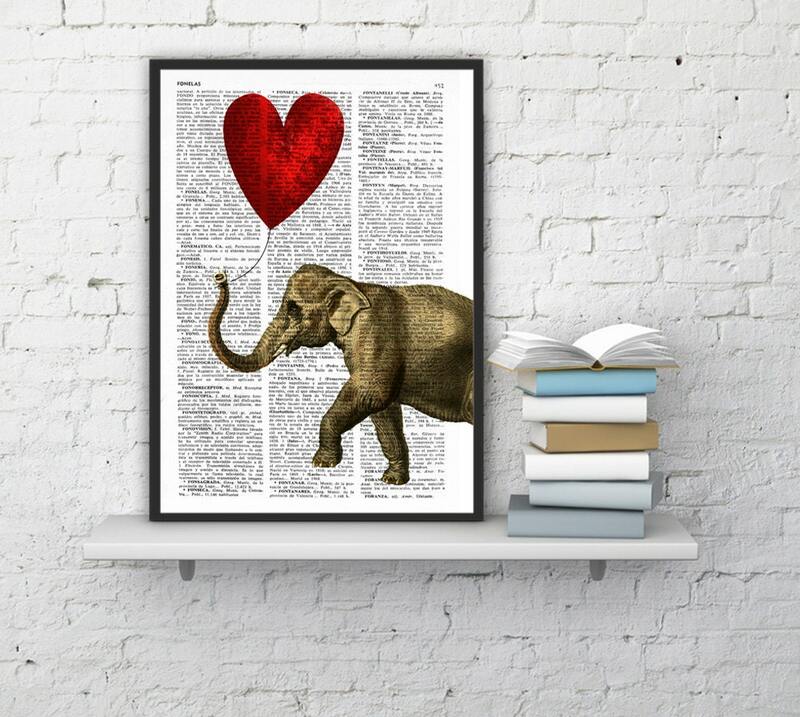 This was a gift for my mother in law who loves reading and elephants. She LOVED it!! It's absolutely beautiful. Thank you so much for the unique gift, she will treasure it always.